The Brexit rumor mill pretty much had things correct. The UK was given another two weeks to kick the can. Donald Tusk confirms that Theresa May has agreed to the plan to delay Brexit until 22 May if she can get her deal through the Commons, or 12 April if she cannot. In a speech this evening Theresa May refused to apologize for blaming MPs for her shortcomings. Meanwhile, she is sticking with Plan A, refusing to even discuss her second choice. Politics Live reports May Urges MPs to Back Her Deal to Secure Brexit Delay Until May 22. May was asked if she felt she should apologise to MPs, some of whom have said they have been on the receiving end of death threats and harassment over Brexit. She declined to do so, saying instead: "There are passionately held views on all sides of this argument. And yes, as I said, last night I expressed frustration but I know MPs are frustrated too"
May says she believes it would be wrong to ask the UK to take part in European Parliament elections three years after voting to leave – a prerequisite of a longer delay. Despite a petition to revoke Brexit, which has been signed by more than two million people in the past week, May says the referendum was held and the government agreed to enact its result. That is what it is doing. Tusk and Juncker are asked how long a “long extension” is. “Till the very end,” Juncker says, to laughter in the room. Someone asked Tusk about a previous comment he made, that there was a special place in hell for those people who promoted Brexit without having “even a sketch of a plan” for how to deliver it: He was asked "should more room be should made in hell?" And, with that, the press conference was brought to a swift conclusion. At a press conference after the EU leaders' meeting, Council President Donald Tusk confirmed that May had agreed to the plan — though in truth, with a no-deal Brexit imminent she had little choice. "What this means in practice is that until that date [April 12], all options will remain open and the cliff-edge date will be delayed,” said Tusk. 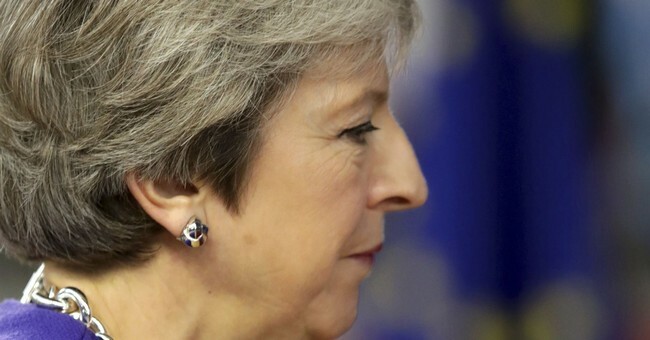 May had requested an extension until June 30 — ignoring a warning from European Commission President Jean-Claude Juncker that the U.K. would have to participate in the European Parliament election if it stayed in the bloc beyond May 22. Leaders swiftly dismissed that request out of hand. May's lack of clarity about what might happen if she failed to win ratification of the deal, and her unwillingness to state what next-steps she envisioned, left the 27 leaders flummoxed and more divided than at any point in the more than two-year-long Brexit process. Yesterday, Theresa May Blamed MPs for her own incompetence. Today, she refused to apologize for it. The notion is nonsensical. It;s not hos place to rule anything in or out. Labour has splintered. Meanwhile, no-deal is the default option. Neither Corbyn nor May can change that. Unfortunately, and to the dismay of Brexiteers, the EU gave May another two weeks to get her deal approved. I suspect this is the last chance. That additional two weeks provides more time for a third, fourth, or even fifth meaningful vote. On the whole, this increases May's chances. But Bercow first has to allow a vote. Eventually there will be a vote, if for no other reason than Attorney General Geoffrey Cox will clarify his Legal Opinion on Joint Instrument and Unilateral Declaration concerning the Withdrawal Agreement. Cox already stated the Juncker's revised deal was not really worth a damn, but I am sure he will be called to clarify that opinion a third time. I suspect May will not hold another vote unless it's close. And if it gets close, the EU may offer another legal tidbit of some sort leading to the fourth or fifth meaningful vote. Finally, please consider this comment made by, Liz Truss, a Treasury minister who sits in cabinet, as reported by the Guardian. I believe that when Theresa May loses the Meaningful Vote 3 next week, she needs to stand down immediately. Conservative members will no longer tolerate her grovelling to the EU and national humiliation. I suspect the Whips, 1922 and Cabinet will help the process. May has two more weeks to undo massive amounts of damage from yesterday alone. In politics, that's a lot of time, but May appears fully capable of doing herself in, just like Trump with the wall. For comparison purposes, please see Theresa May Compared to Trump: May Implodes in Parliament Speech.